Our staff are proud to work for such a patient friendly, safety, conscious, and up-to-date medical facility and are here to help you every step of the way. Please feel free to call them with any question about our staff or our center. They are available to help you with any questions you may need to ask them. We want your experience here with us to be a pleasant one and we look forward to working with you. About Dr. Jafar Koupaie, M.D. The President and Staff Physician at Boston Dermatology & Cosmetic Surgery Center in Canton is Doctor Jafar Koupaie. With more than 33 years of experience in the field, Dr. Koupaie graduated from Pahlavi College in Iran in 1971, and traveled to the United States to complete his internship at Salem Hospital in Salem, MA. Dr. Koupaie completed his residency at both Tufts University and Boston University as chief resident. He served his fellowship at Harvard Medical School and Massachusetts General Hospital in Boston. Board Certified by the American Board of Dermatology, Dr. Koupaie also has a Dermatology Clinic at Cobbs Corner in Canton. Doctor Koupaie is a member of the American Academy of Cosmetic Surgery and the American Academy of Liposuction Surgery. He is also a Fellow of the following organizations: American Academy of Dermatology, New England Dermatological Society, American Dermatologic Surgery and Oncology, Massachusetts Medical Society, and the Massachusetts Academy of Dermatology. The center accepts most health insurance plans and HMO's for non-cosmetic conditions. It also accepts MasterCard, Visa, American Express, and Discover. 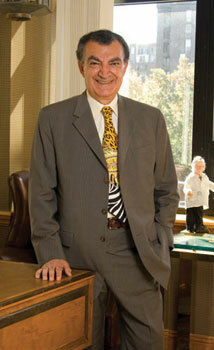 Doctor Koupaie purchased Boston Dermatology in November of 1996. 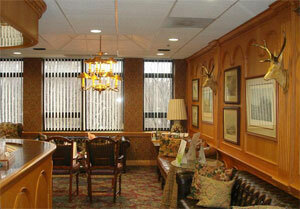 He has since expanded the scope of the clinic. Boston Cosmetic Surgery offers the newest and latest cosmetic skin rejuvenation techniques to come along in decades! We offer a wide variety of specially developed dermatological products related to helping you maintain cleaner, healthier and more youthful skin tone. The Center offers many cosmetic services such as Botox and Dysport Treatments, Juvederm, ARTEFILL, Reviderm & Silicon Fillers. Also Liposuction, Laser Surgery for Facial Rejuvenation and a variety of other conditions, Propecia and Rogaine Therapy plans and hair Transplant Surgery. We accept most health insurance plans and HMO's for non-cosmetic conditions. We also accept MasterCard, Visa, American Express and Discover.